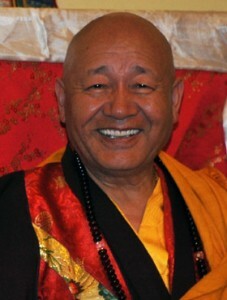 May 7th-8th 2012, 7pm – 9pmWe are delighted to announce the visit of the renowned Tibetan Buddhist teacher Khenpo Damcho Dawa Rinpoche. Ably assisted by translator Katia Holmes the Khenpo will give precious teachings on how to deepen our practice of Chenrezig meditation through the Fivefold Mahamudra. May 12th & 13th, 10am – 5pmStart of The Mindfulness Association’s One Year Training Course. Part 1 with Rob Nairn. Bookings through the Mindfulness Association at http://mindfulnessassociation.net. Bookings can be made at http://www.mindfulnessassociation.net/Courses.aspx. May 27th, 10.30am – 4.30pmIn the third of the Four Preliminary Foundations we will explore the profound, and often misunderstood, topic of Karma. An understanding of the law of Karma is essential for the right view, which ultimately leads to liberation from suffering. Through study, discussion and meditation we will examine the workings of Karma in our own life and life in general. 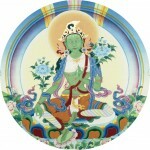 The practice of Green Tara Puja, specially dedicated to the health and long life of Akong Tulku Rinpoche and Lama Yeshe Losal Rinpoche. An opportunity for Ngondro practitioners to practice in the peace and tranquility of Samye Dzong Shrine Room and Peace Hall. In this two part course Ringu Tulku Rinpoche will elucidate this classic Buddhist text, explaining its true meaning for the modern audience. Seven Point Mind Training, or Lojong, can be practiced by anyone who wishes to transform their life for the better. By letting go of habitual, ego-centric thinking and fostering a more altruistic, view we become happier in ourselves and more helpful to others. The course includes optional Tonglen Meditation on Tuesday June 12th, from midday till 1pm. An opportunity to read, reflect on and discuss some of Milarepa’s inspirational teachings. July 22nd, 10.30am-4.30pmIn this final part of the Four Preliminary Foundations course we will examine the illusory nature of Samsara, or conditioned, existence using Jamgon Kongtrul’s invaluableTorch of Certainty text as a basis to explore this profound topic. Through study, discussion and meditation we begin to transform our view of how things really are. By reflecting on this and the previous three preliminary topics and applying our understanding to our daily life we begin to see how helpful and beneficial these teachings are. 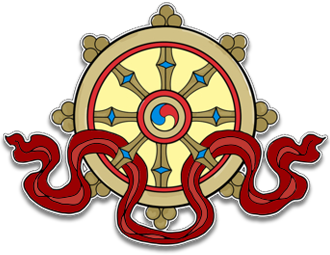 Those who wish may go on to take Refuge and practice the Four Extraordinary Foundations, which are the basis for the highest Buddhist teachings of Mahamudra. 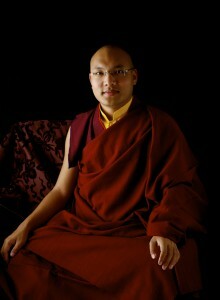 September 29th-30th 2012 Lama Yeshe Rinpoche is Abbot of Samye Ling and all Samye Dzong Centres. He is also a meditation master whose experience of life in the UK and US equips him to understand and deal with our times of mental stress and environmental degradation. Ani Rinchen Khandro explains the meaning of taking Refuge for those who wish to follow the Buddhist faith and take Refuge with Lama Rinpoche. Please inform the office if you wish to take Refuge. The ceremony is for participants and family only. It is free of charge but offerings and katas may given. Lama Yeshe Rinpoche speaks from the Buddhist view that all things are interdependent. We are not separate from our environment. Therefore to heal our minds is to heal our world. The evening also features a screening of A Hard Rain, the short film by Mark Edwards inspired by Bob Dylan’s iconic song, which provides the sound track, and will be followed by a Q and A session with Lama Yeshe Rinpoche. Lama Yeshe Rinpoche will explain and give practical instruction on meditation as the key to freeing our minds from stressful thinking and to helping us find peace, joy and insight. This in turn affects how we treat our environment. Peaceful minds make peace on earth. Guru Rinpoche, also known as the second Buddha, predicted many of the physical, psychological and environmental problems of today. His Pujas are skillful means to balance the elements and develop harmony. This Shower of Blessings Tsok Puja (sacred feast) is dedicated to the well-being of Mother Earth and all beings and to celebrate the 3rd Anniversary of the ‘new’ Samye Dzong Edinburgh. Donations and/or food offerings are welcome. Saturday September 29th 2012, 10.30am-12pmAni Rinchen Khandro explains the meaning of taking Refuge for those who wish to follow the Buddhist faith and take Refuge with Lama Rinpoche. This event is part of the From a Hard Rain to a Shower of Blessings Weekend with Lama Yeshe Rinpoche. Saturday September 29th 2012, 3-4pmPlease inform the office if you wish to take Refuge. The ceremony is for participants and family only. It is free of charge but offerings and katas may given. Saturday September 29th 2012, 7.30-9.30pm Lama Yeshe Rinpoche speaks from the Buddhist view that all things are interdependent. We are not separate from our environment. Therefore to heal our minds is to heal our world. The evening also features a screening of A Hard Rain, the short film by Mark Edwards inspired by Bob Dylan’s iconic song, which provides the sound track, and will be followed by a Q and A session with Lama Yeshe Rinpoche. Sunday September 30th 2012, 10.30am-12.30pm Lama Yeshe Rinpoche will explain and give practical instruction on meditation as the key to freeing our minds from stressful thinking and to helping us find peace, joy and insight. This in turn affects how we treat our environment. Peaceful minds make peace on earth. Sunday September 30th 2012, 3-5pmGuru Rinpoche, also known as the second Buddha, predicted many of the physical, psychological and environmental problems of today. His Pujas are skillful means to balance the elements and develop harmony. This Shower of Blessings Tsok Puja (sacred feast) is dedicated to the well-being of Mother Earth and all beings and to celebrate the 3rd Anniversary of the ‘new’ Samye Dzong Edinburgh. Part 1 – A film screening of precious teachings by the head of the Kagyu Lineage. Join us for tea/coffee and get together after the film. Part 2 – A film screening of precious teachings by the head of the Kagyu Lineage. Join us for tea, coffee and get together after the film. Part 3 – A film screening of precious teachings by the head of the Kagyu Lineage.